Cloud Computing (CC) and Quantum Computing, both have been interesting areas of research, individually. However, integrating the two can come with mutual benefits for both the fields. Cloud platforms can offer Quantum Computing as a service, but more importantly, they are capable of offering the flexibility, inherent in architecture, to accommodate new developments in Quantum Computing. On the other hand, Quantum Computing in general and Quantum Cryptography (QC), in particular, can help in alleviating the security concerns associated with CC, which have prevented users from migrating to cloud. 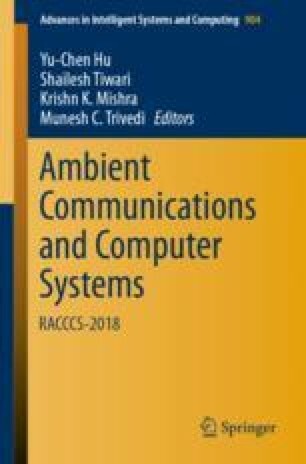 The paper proposes a model framework contemplating the use of Blind Quantum Computation (BQC) between cloud servers involved in multiparty computations during online phase and using authenticated Quantum Key Distribution (QKD) for secure distribution of keys (used for encrypting the secret files) when going into offline phase. Finally, a proof of the model has been presented, using Universal Composibility (UC) framework.